83% in Ireland agree that people with disabilities should have the right to make their own decisions about their own lives and care. 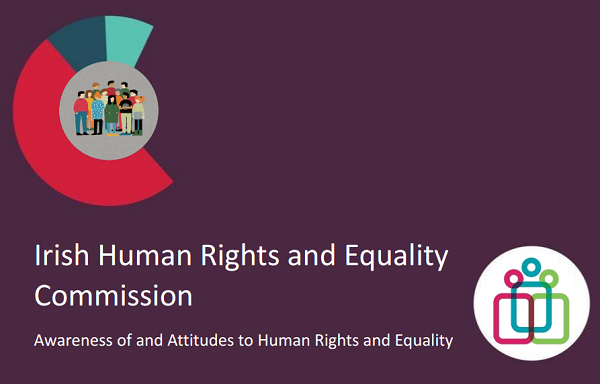 That’s according to a new survey on awareness of and attitudes towards human rights and equality in Ireland, commissioned by the Irish Human Rights and Equality Commission (IHREC) and published today. The IHREC used the poll to explore public understanding of attitudes towards human rights and equality issues and towards protected groups in Ireland. It also provided a key opportunity to investigate people’s own understanding and knowledge of their rights and the avenues available to them for their protection. Among many other findings, the poll revealed that 94% agree that being treated fairly and not discriminated against – regardless of gender, race or disability – is a basic human right. However, almost 4 in 5 – or 79% – agree that we still have some work to do when it comes to protecting human rights and equality in Ireland today. 29% of people disagree, for example, that people using disability services in Ireland are treated with respect for their dignity. Well less than half the population – 38% – believe that no-one’s ability to achieve their potential is limited by prejudice, discrimination or neglect. Sharp divisions on views of the rights of minority groups – such as Travellers, asylum seekers and prisoners – were also uncovered. Director of Áiseanna Tacaíochta (ÁT), Martin Naughton, responded to the poll’s results, stating that “it is hugely encouraging to see the overwhelming majority support for the rights of people with disabilities to make their own decisions on their lives and their care. Government, now more than ever, must act on its commitment to individualised support – such as Direct Payments and other self-directed living supports – for people with disabilities, and ratify the United Nations Convention on the Rights of Persons with Disabilities (UNCRPD)”. “No person should ever experience discrimination or limitation on the basis of their disability”, he continued, “but, unfortunately, we still all too often witness the restricted employment, education and other opportunities open to the disability community, as well as the linked, heightened rates of poverty and deprivation it faces. It is time for people with disabilities to strengthen their understanding of their rights and to come together to progress and protect them”. Click here to read the results of this poll from the IHREC.